Join me for a great day making authentic Gnocchi. You will learn how to make two authentic gnocchi doughs; the traditional and ever popular potato gnocchi, along with ricotta gnocchi. In addition, we will prepare sughi (sauces) to compliment our gnocchi dishes. We will end the day by sitting alfresco style to enjoy the fruits of our labour (our gnocchi) with a class of vino. 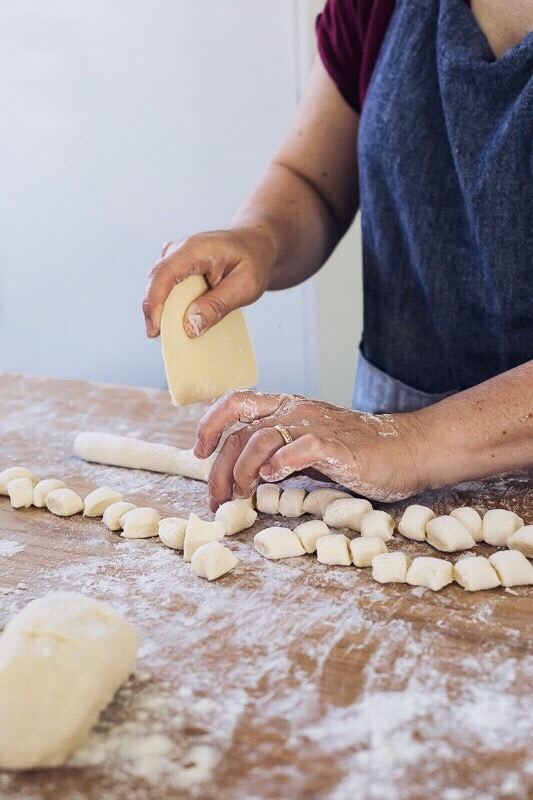 This will be a hands-on & demonstration class where you will learn to make two gnocchi doughs; the traditional and ever popular Potato gnocchi, along with Ricotta gnocchi. How to make Potato Gnocchi. How to make Ricotta Gnocchi. How to make basic seasonal sauces to compliment these two gnocchi dishes. Share and eat the gnocchi we make in a sit down lunch.